This topic presents the detailed step-by-step instructions how to update text in many Microsoft PowerPoint files. 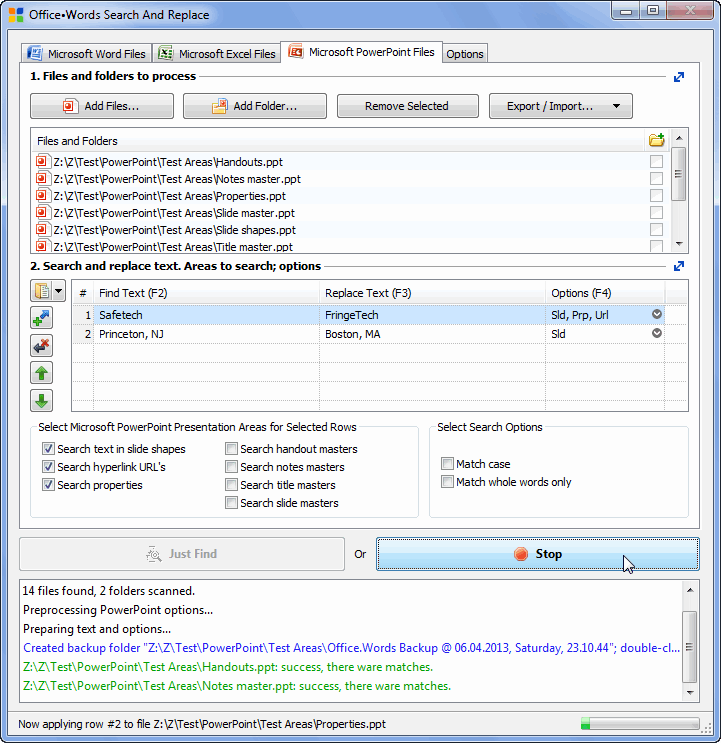 Select the Microsoft PowerPoint Files tab. 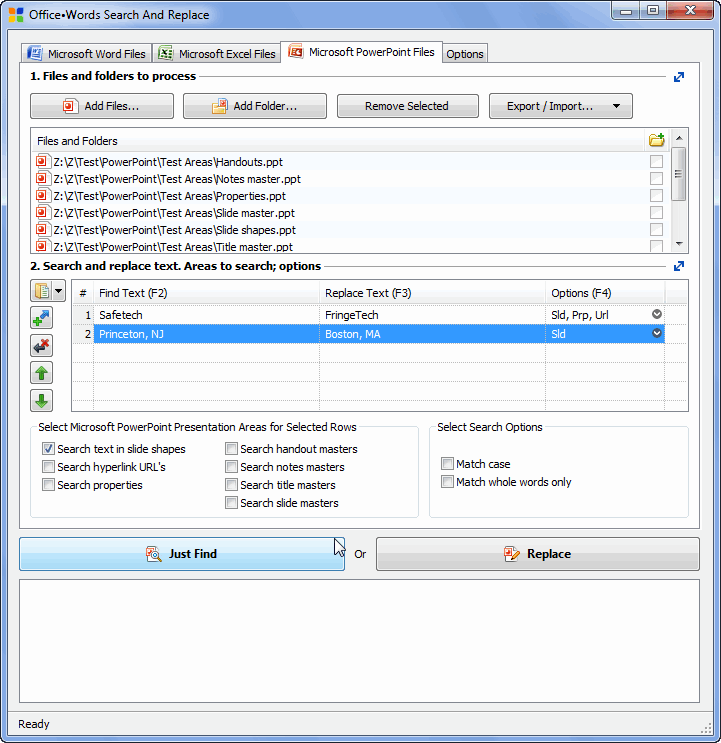 To select areas in which the text of the current row will be searched for, you can click the third cell (in the Options column): Here, we have selected to search in the presentation slides, file properties, and the Internet addresses.